The National Academy of Television Arts and Sciences (NATAS) Boston/New England Chapter is delighted to announce that Star Trek star Leonard Nimoy will receive the Governors’ Award. Mr. Nimoy will be honored at the Boston/New England Emmy Awards gala on Saturday, June 7 at the Boston Marriott Copley Place. 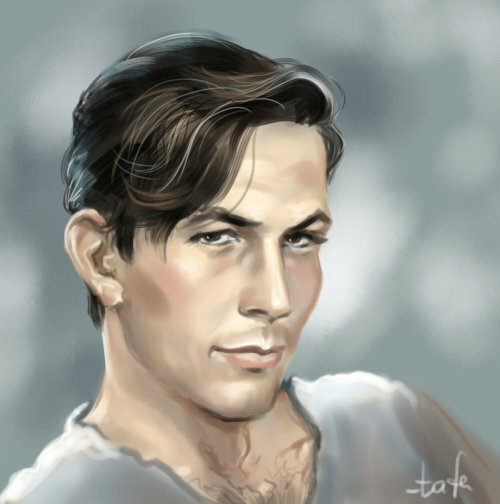 Mr. Nimoy is best-known for his legendary portrayal of Mr. Spock on the science fiction series, “Star Trek”, which gained him worldwide recognition. 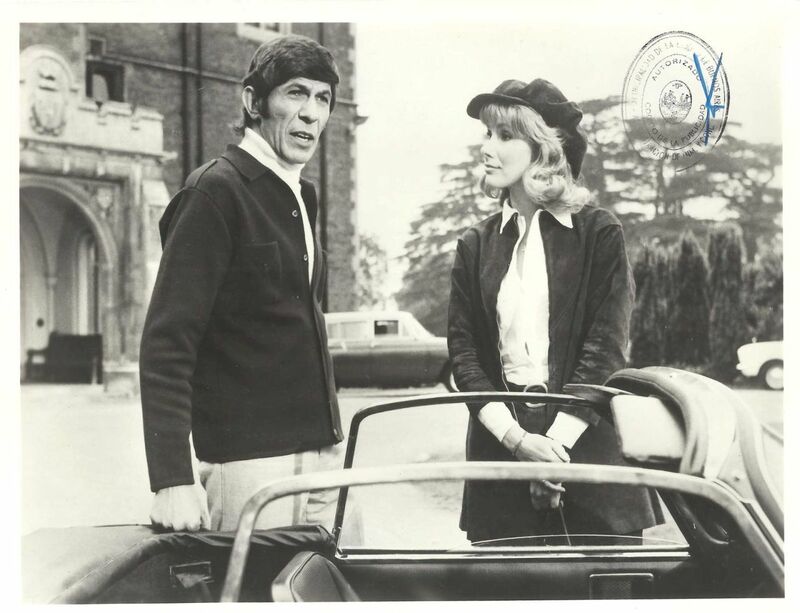 First airing in 1966, Mr. Nimoy’s character, Mr. Spock, would become a household name over the years as the popular television show branched off into syndication, and later, onto the big screen in six feature films. His portrayal earned three Emmy nominations. 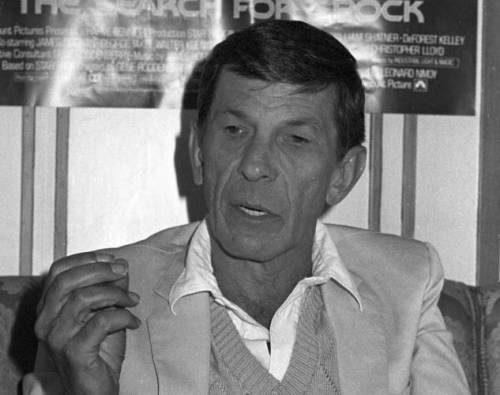 Mr. Nimoy, who recently celebrated his 83rd birthday, grew up in Boston’s West End, where he performed on stage from the age of eight through his teens. 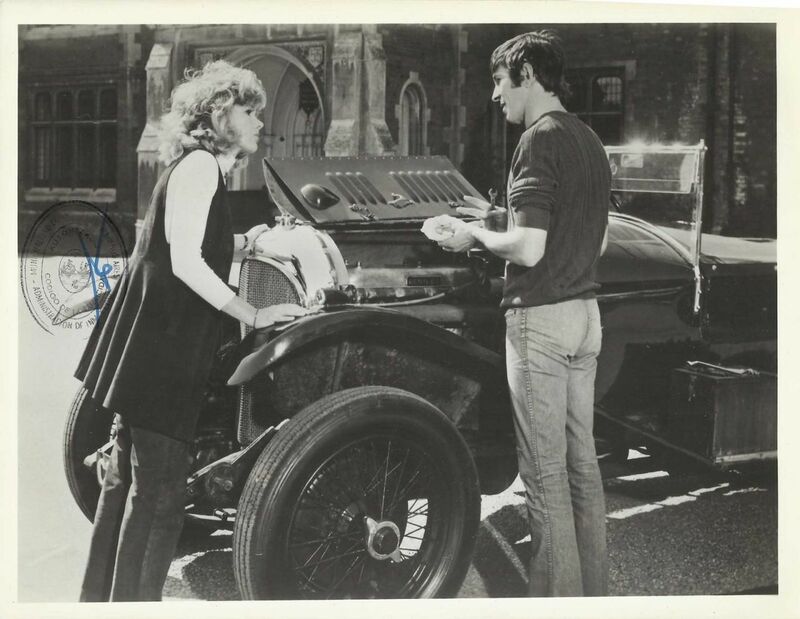 He then set out for Hollywood and gained small roles in obscure films and serials, before capturing his first film lead. After a 2-year stint in the Army, he resumed his career and eventually was cast in several television programs. 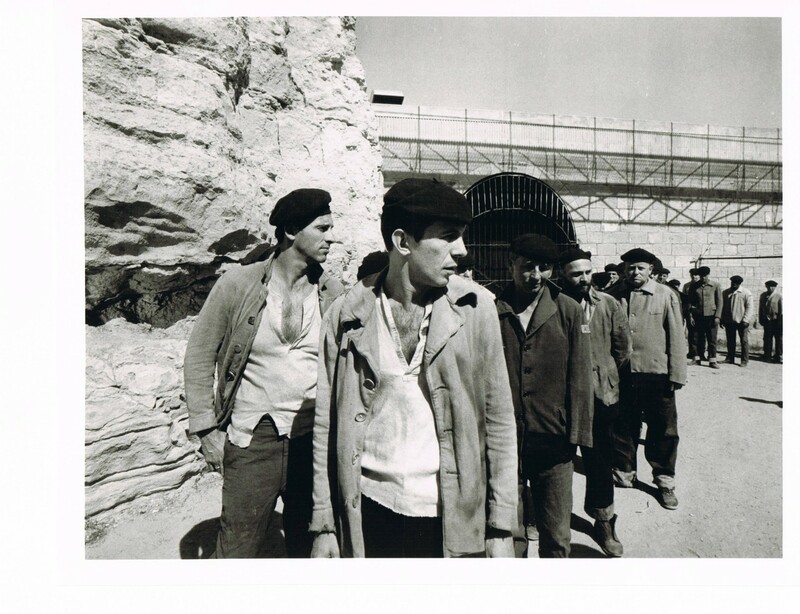 For many years, Mr. Nimoy has worked in black and white art photography. Three of his exhibits are being shown concurrently in the Boston area. The Governors’ Award is given in recognition of achievements by individuals, organizations, or companies which do not fall within the structure of the Chapter’s regular area awards. Historically, the Board of Governors’ Award is for truly outstanding and unique accomplishments or for achievements of some duration and durability. For this award, an Emmy® statuette is given. 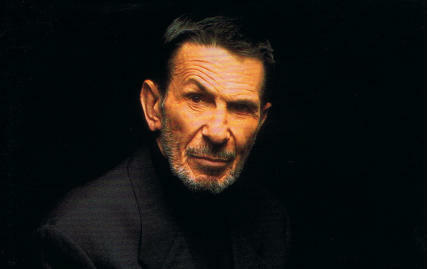 Leonard Nimoy; actor, director, producer, poet, author, scholar, philanthropist, artist, photographer. 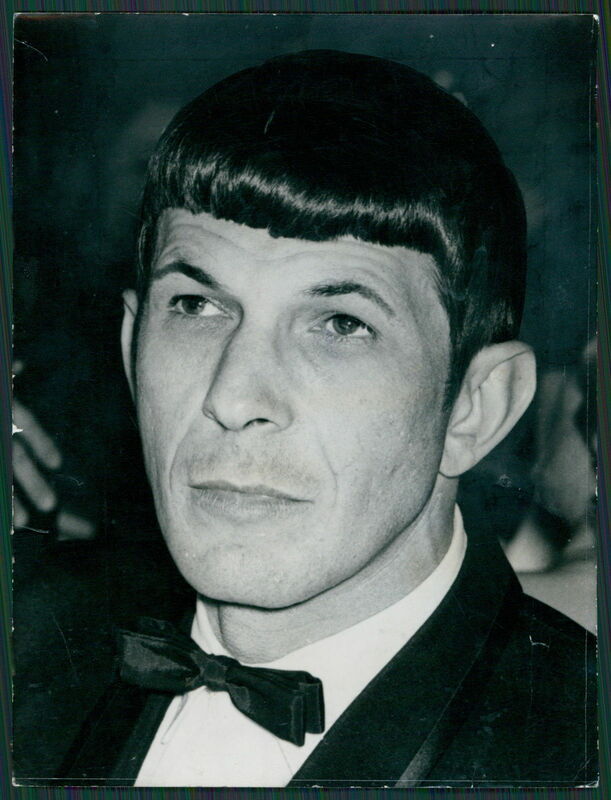 Mr. Nimoy began taking pictures as a teenager in the 1940's with his family's Kodak Autographic and continued his photography education at UCLA under Robert Heineken in the early 1970's. He has published several books of images, most recently "The Full Body Project." He was interviewed in northern California, summer 2008. La estrella de 'Star Treck' vive conectado un respirador artificial debido a que sufre una enfermedad pulmonar, pide a los fumadores dejar el tabaco. LN art by tafafa and Nagini-snake. 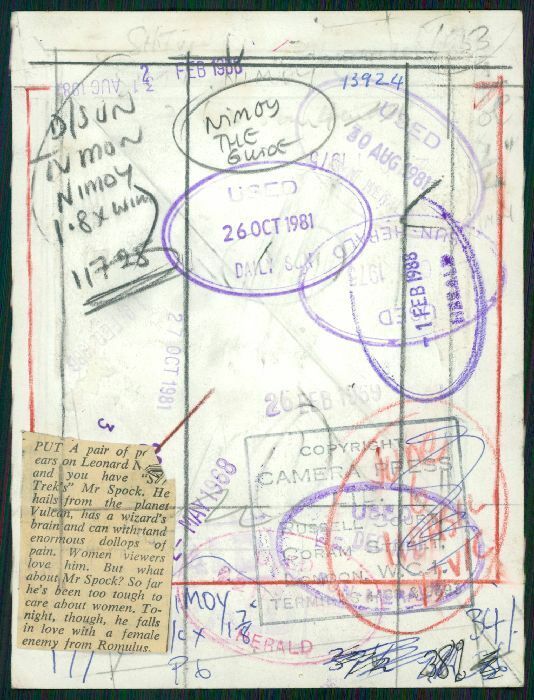 The Article can be downloaded from the RMichelson Website. 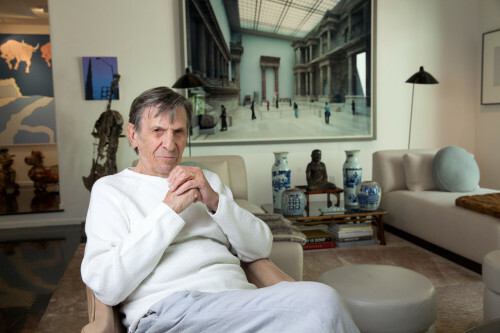 Leonard Nimoy talks about his home in L.A.'s Bel Air neighborhood. Updates and renovations invoke a modern feel, and a pair of pointy ears plays a minor part. When I bought my home in the Bel Air section of Los Angeles in 1987, I was a little scared. I was single at the time—my marriage of 33 years had just ended—and I had been looking at modest places within a specific price range. My Realtor had suggested we see a house that had just come on the market: a one-story, 5,500-square-foot, white-plaster Spanish-Mediterranean from the 1930s. I fell in love with it instantly. The house had charm and was easygoing and very me. But there was a problem: The asking price was twice my budget. I was dumbfounded. I had to have the house but didn't want to go broke. I asked my business manager what he thought. To my surprise, he said I could afford it. 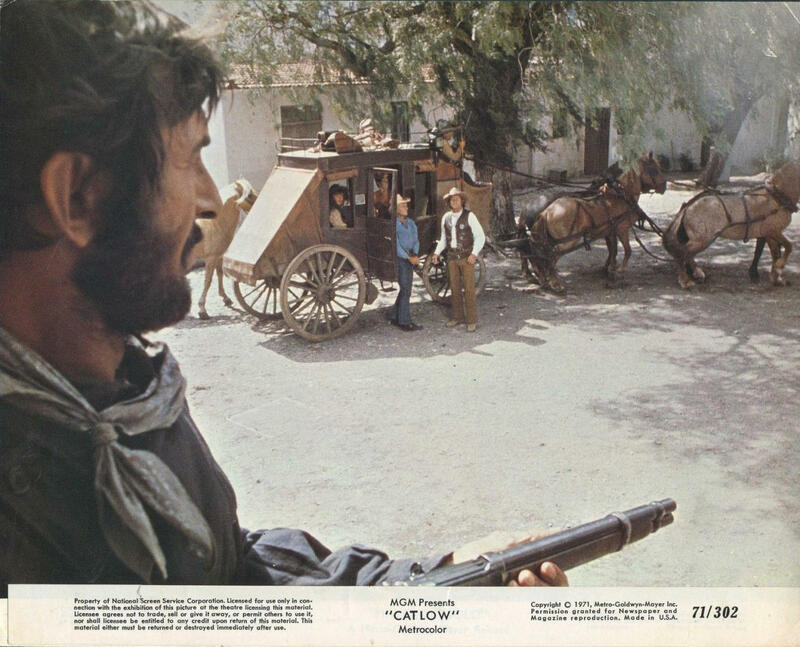 I had just directed my third film, "Three Men and a Baby," and more directing opportunities were lining up. But deep down, I was apprehensive. Bel Air seemed a little over the top for me. You have to understand, I grew up in a tenement apartment in Boston. Being frugal was a part of who I was. What I actually could afford at that stage in my career hadn't really sunk in yet. (...) After I bought the house in '87, I moved in with my modest furniture from my last place in West Hollywood. My wife Susan and I were married at the house in 1989. The woman who had lived here before us was a developer and had done a good job of renovating the home. But the design was traditional—with red roof tile, terra-cotta tile floors and windows with multiple small panes. As Susan and I began collecting contemporary art, we made some changes. We had the walls painted white and installed black wood floors to make the art pop. We also added a black-tile roof, developed the grounds and built a second story above the garage for my photographic studio and darkroom. The studio has since been converted into workout space. Digital photography has made fussing over printing a bit archaic, and the fumes from the process weren't good for my chronic obstructive pulmonary disease. About 10 years ago we redid the house. We installed a black-tile roof and sizable single-pane windows that let more light in and make us feel a part of the outdoors. Now you can see more of our backyard, which had originally been landscaped to feel like Tuscany but now feels more Asian. Out back we put in a contemporary Japanese tea house that's 15 feet by 40 feet. The floor was made with 18th-century New England barn siding. It's a meditative space that Susan uses for yoga. When you walk through our front door, you step down into the living room, which has 15-foot ceilings, large exposed wood beams and a gas fireplace. Our kitchen is spacious. If we're having family over we'll hang around in there. Otherwise, we entertain at a dining table that accommodates 10. If we're having fewer guests over, we have a table in our family room that seats six. My study-office is near the front of the house. There are full-size windows that let me see who's coming and going. I have a customized L-shaped worktable and a comfortable black swivel chair. Over the desk are photos and memorabilia from projects I've worked on. To my right is a gas fireplace and a mantle with three Al Hirschfeld drawings—two of me in "Star Trek" and one when I appeared on Broadway in "Equus." On shelves are a number of my photographs that are in several museums' collections. Source: The Wall Street Journal. 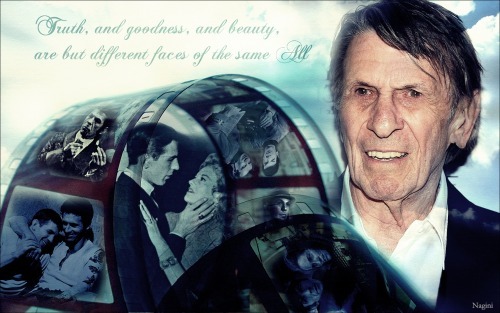 Go to their page for pictures of Mr. Nimoy's house.